A great book containing 360 couplets, also includes 230 deviant sayings of wahabies and deobandies. 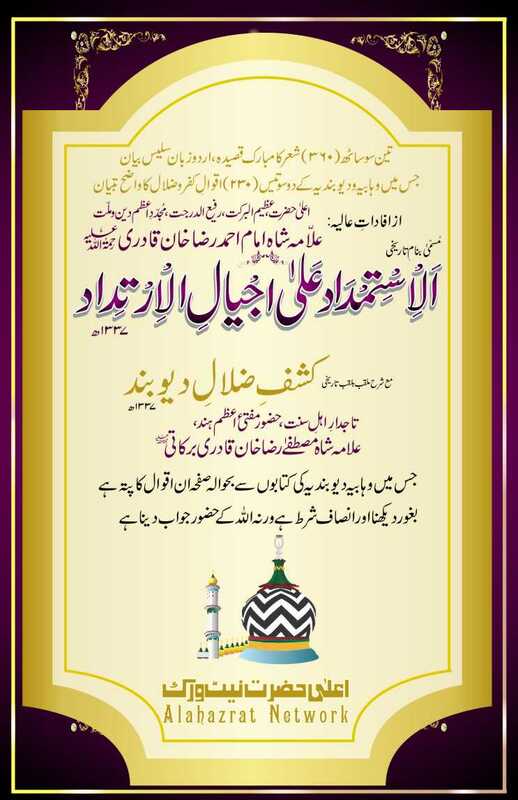 This book is written by Alahazrat Imam Ahmad Raza Khan. Its detailed commentry is written by Huzoor Mufti-e-Azam Hind Molana Mustafa Raza Khan Noori, containing complete references with page numbers of deobandi and wahabi original books.